Ricky is an 8 lb. 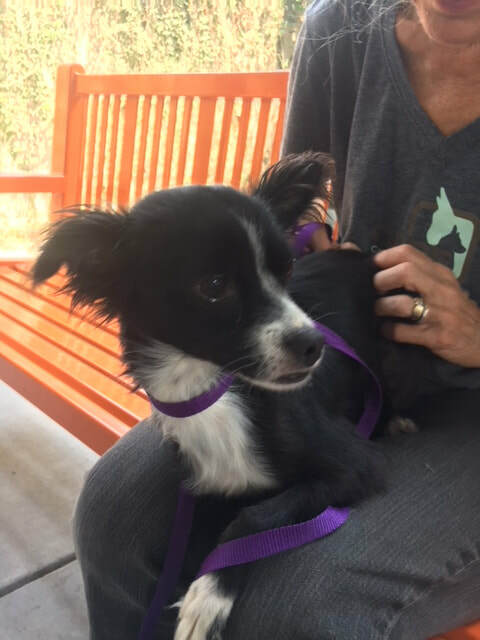 female, black and white Papillon mix who was found running as a stray in Sacramento. CAPE staff found her at the Front Street Animal Shelter. Ricky immediately captured our hearts. She is full of energy, smiles and high jumps. When we brought her into the Get Acquainted play area, Ricky scooted around rejoicing in having so many new friends to play with. Ricky is recovering from kennel cough at Muttopia. She will be ready for adoption once her health is tip top! For adoption information contact info@capeanimals.org or fill out a CAPE Dog Adoption Application.